Peugeot and Pudsey have teamed up to form a 'Dynamic Duo' and are on a mission to search for Superheroes and break through the £1-million fundraising mark for BBC Children in Need. Hammond and Aljaz Skorjanec to quick step through Gotham City. The pair then hit the road in true Superhero style to drum up public support across the Peugeot network for their Superhero fundraising challenges. Peugeot has already signed up 250 of its own Superheroes from its Coventry Head Office and Dealerships around the country to perform an assortment of challenges. These vary from knee-trembling skydiving and abseiling, through heart-pumping swimming and cycling enduros, to the more leisurely, but nonetheless demanding, baking or dressing up and dancing like the Strictly duo. In return, Peugeot is looking for the public to support the fundraising challenges and also hope these efforts inspire others to take part in their own challenges to support BBC Children in Need. "These essential funds will make a real difference to those who need it the most and Aljaz and I are thrilled to be able to help Peugeot and Pudsey in their mission to break the £1-million milestone. Everyone has done really well in raising £750,000 so far and being involved in this year's efforts is a great honour," said Alison Hammond. "After two successful years fundraising for BBC Children in Need, we really want to step up our efforts and reach £1-million," said Stephane Le Guevel, MD, Peugeot UK. 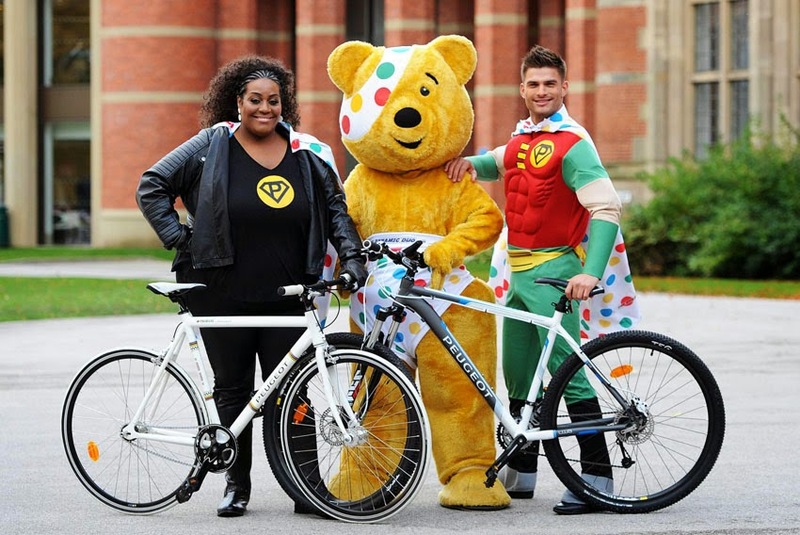 "With the help of Alison and Aljaz, and members of the public, we're certain our Dynamic Duo can reach the target and raise a fantastic amount of money for BBC Children in Need this year."